Poor little mitochondrial DNA (mtDNA). The red-headed foster stepchild of the DNA testing world. 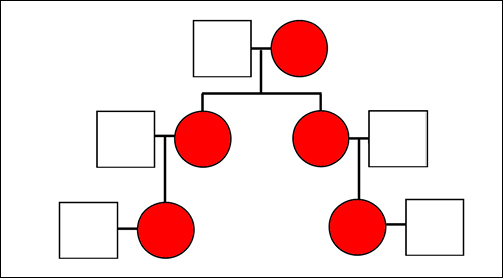 Nowhere near as easy and obvious a genealogical tool as YDNA. Nowhere near as glamorous and enthusiasm-gathering as autosomal DNA. So often left sitting in the corner, waiting for somebody to ask her to dance. And, this morning, The Legal Genealogist again asks her to dance. And I’m hoping against hope that — this time — she and I find somebody to dance with. But DNA testing in this case to confirm Margaret’s parents isn’t so easy. 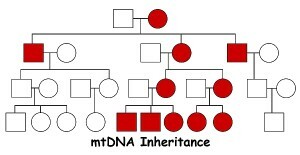 The fact that Margaret would be William Noel’s granddaughter and William’s daughter breaks the YDNA chain. Autosomal DNA testing — looking for the kind of DNA that’s passed down by both parents, jumbled up from generation to generation in a random pattern12 — hasn’t given us any definitive answer so far. Though we have matches, isolating the match to the Battles line is tough because we’re a bit far removed from our Battles ancestors for a strong autosomal link. We’re still working on that and hoping to find a Battles line or two that’s had long generations so the DNA won’t have gotten so jumbled passing down the line. So one thing I’ve looked at is mtDNA — the type we all have that’s passed down from a mother to all of her children but that only her daughters pass on.13 That seemed to offer the most promise since, extending this line on down, Margaret’s only daughter was my second great grandmother Martha Louise; Martha Louise’s oldest daughter was my great grandmother Eula (Baird) Robertson, born in Cherokee County;14 Eula’s oldest daughter was my grandmother Opal (Robertson) Cottrell; my mother was Opal’s third (and second surviving) daughter; and I am my mother’s second daughter. That makes me a perfect direct-female-line descendant of whoever my fourth great grandmother was — my mtDNA (haplogroup H3) is the same as hers was, as it’s passed with essentially no changes from mother to daughter to daughter over the generations. One hitch. It isn’t clear who Margaret’s mother was. William was married twice. His first marriage, to Kiziah Wright, resulted in a messy suit she brought against him for divorce that was finally dismissed in 1829, apparently when Kiziah died.15 His second wife was Ann Jacobs. They were married on Christmas Day 1829, and showed up on the 1830 census with — count ‘em — five children.16 One of whom, I do believe, and born most likely before that December 1829 marriage, was Margaret. So all I need — all! — is one direct-female-line descendant of Ann to test. All of Ann’s known daughters were married and out of the house before those Cherokee County courthouse fires. Tracing them forward may not be impossible, but it sure isn’t happening yet — no genealogist-descendants of Ann’s daughters stepping forward to help, either. And then another likely Battles cousin contacted me. She descends from another of William Noel Battles’ sons, Samuel Battles. We’re too far distant to match in our autosomal DNA, but she reminded me that — duh! — there’s another whole connection I have overlooked. One that won’t help me with Margaret’s father, but it sure can help figure out which of William’s wives could have been her mother. The chart above? That’s looking at the Battles side: William Noel and his wife Elizabeth Hopper as the original couple, William and Samuel as their sons. 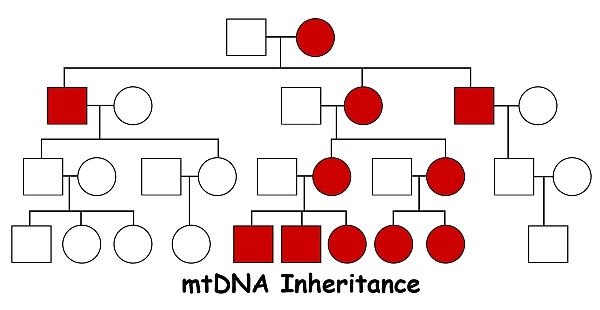 And neither YDNA nor mtDNA is going to work there; YDNA because I descend from a daughter, not a son; mtDNA because it would be the mtDNA of the sons’ wives that was passed on, not the mtDNA of the sons. And therein lies a possible answer. Because those two sons of William Noel Battles — my William and her Samuel — married sisters. William’s wife Kiziah was the sister of Samuel’s wife Nancy — both the daughters of Francis and Lucy Wright of Georgia. It would be the mtDNA of Kiziah and Nancy’s mother passed to Kiziah and Nancy and then on down the generations. Any direct-female-line descendant of Nancy will match any direct-female-line descendant of Kiziah. Any mismatch would eliminate Kiziah as a candidate to be Margaret’s mother. And … sigh … the Samuel Battles family didn’t live in twice-burned-courthouse Cherokee County. That family was in nearby not-even-one-courthouse-fire St. Clair County. Not to mention the fact that I have a genealogist-descendant stepping forward to help. Maybe this time I’ve picked the Wright Battles. How nice of you to say so! To me this is such a good example of how very important it is to work with another/other ancestor genealogists to untangle the knotted ropes of descent! Isn’t that the truth! And you and I learned much from having our cousin Pug tested — at least enough to know what we’re not! And learning “what’s not” is a very large part of narrowing down to “what is”!! Totally enjoyed reading about this and I think I understood, too. Good luck and can’t wait to hear the results. Glad you found it useful, Lisa. What a coincidence…I’m dealing with this exact problem for my 3rd great grandmother’s line. No one seems to be interested in testing their DNA…??? Good luck with your search! Good luck to you, Donna! Hope you find your test candidate. It all gets clearer and clearer as I keep reading about how and who to test with what test. When I win the lottery, I have specific people I think might – just might – make a difference in confirming several specific lines. Hmmm, think there are siblings marrying siblings as well. I’ll be checking once more. Thanks Judy for your fascinating posts – I’m constantly learning from you. Cheers – a test person is sure to find you soon! Thanks, Celia — and oh… I am so much hoping that test person DOES step forward! I use the analogy that mitochondrial DNA testing is like a sniper rifle, compared to the shotgun of Y-DNA and the grenade of autosomal. For mito to be effective you have to be aiming at a specific target. Either pro or con, Michael. The other use is to disprove, not just to prove. How often does anyone prove anything with mitochondrial DNA? It’s such a blunt instrument. It’s actually easy to use in a targeted way. In my case here if I had a documented direct female descendant of Ann Jacobs, and I did NOT match her, then Ann couldn’t be my 4th great grandmother. Period. No ifs ands or buts. In case it is helpful in reference to your note 10, there are also service records for Noell, Noel, Nowel Battles not just as a part of the 10th Regiment, but also for service in the 6th Regiment. My guess is that the difference is from a renumbering of the regiments, rather than any change in service. Thanks, yes, I do have all of William Noel Battles’ records. Now I need his granddaughter’s granddaughters!! I figured you had all the records…but just in case. About 1985 or so, a Mr. Battle donated a significant number of genealogical subscriptions to a public library where I was a trustee. When I wrote him my thank-you note, I tried to personalize it by mentioning a Hooper [not Hopper] affidavit that mentioned Holloman Battle having been a resident of early GA. Turns out that affidavit [hidden in SCDAH records under my Hooper ancestor’s name, AA 3738A, No. 2, pp 14 vv B] was the lead that led to identifying a branch of his Tryon Co., NC Battle family [John Battle, Holloman Battle, Littleberry Battle] whilst they flourished in GA before 1800. Sure taught me how noting little details might help other researchers. You know, I’d love to see a discussion of yDNA and the Hopper men out of Virginia. I was a silent listener in that email loop around 2000-2005. There’s some re-a-lly interesting characters amongst them, and a lot of pseudonyms to confuse things. I don’t know too many families that don’t have “some re-a-lly interesting characters amongst them.” Thank heavens! It’s the hope of finding “some re-a-lly interesting characters” that keeps me going….because these characters tend to leave more oddball court records, at all levels of the legal sphere, and they also get mentioned in newspaper fillers. Very helpful when there’s been catastrophic losses in county [parish] records. I’ve just this month found a wonderful newspaper article, published in 1879, telling about one character [a pioneer of the area] who settled in Louisiana 1813 and died there in 1851, in a catastrophic-loss parish. The article clearly had input based on personal knowledge from that era and area. The bio did mention Tom’s prior residence had been near Nashville, TN before he moved to LA. Yet the article failed to mention one quite salient detail – he’d abandoned his first wife and their two infant daughters in TN before marrying the wealthy widow of the founder of the town to which he had removed about 1814. Yep, Tom was a bigamist. And even that first marriage in TN was a shaky thing, having occurred one month to the day after his first daughter’s birth. We know about that daughter’s exact birth date because the first wife’s family kept a Bible record – and that Bible record – long stored and forgotten in an attic – got noticed because it recorded some facts about the New Madrid earthquakes of 1811 and 1812. Those earthquake details became interesting to the US Geological Survey and that interest led to mention of the records by a TN newspaper in the 1990s. That helped lead a local researcher to the Bible and to transcriptions of the vital records therein. The Louisiana newspaper article of the 1870s also failed to mention Tom had been notorious as an overseer, because he killed a slave about 1815, which fact was found in appeals of the case by the owner of the slave [The appeals being needed because the parish records disappeared in the Civil War]. That abandoned first wife also happened to be the diarist’s great-aunt who had died in Tennessee after 1860. The diary, which further commented on Tom’s character, was published in a middle TN weekly newspaper in the 21st century. If ol’ Tom hadn’t been “really interesting,” these other sources probably wouldn’t be available. You have to love relatives like ol’ Tom. Just just have to love ’em. Census records seem to support she was the mother in 1900 and 1910, but a descendant (from a brother) said she was not – however, I have already found that his great-grandfather was born out of wedlock and then found the marriage record – all Germany – and he insisted this woman was not the mother – turns out the father may be the one that wasn’t the father! Doubt he will want to prove this as he is attached to his version of events. 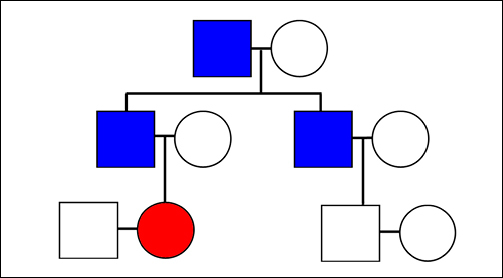 Autosomal DNA cannot solve this question because of the shared grandfather – only, mtDNA. Thanks for all the information as this is exactly what I was planning to do if I don’t find a record by my deadline – the next sale! Glad you found it useful, Carolyn — and good luck in getting your answers! Also, I looked in my tree and I have a William son of William that married Keziah and Ann Jacobs that had a daughter Margaret that I have born about 1832. Your William son of William Noel is my William. I’ll be in touch after I get home from an international trip.